We are the leading and prominent Manufacturer and Supplier of SS 316ti Seamless Pipes. 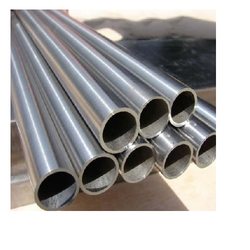 SS 316ti Seamless U Tubes are available with backing of third party inspection like EIL / IBR / IIB / TUV / CHEMPRO / RITES / DNV / BVIS / IRS / ICS / J&A / Lloyds as well as plant approvals from registered vendors like EIL / IBR / TATA / ONGC / CPCL / THERMAX / BHEL / RELIANCE INFRA. Looking for STAINLESS STEEL 316TI ?